Catherine Cerulli, PhD, is currently a Professor of Psychiatry at the University of Rochester Medical Center (URMC). 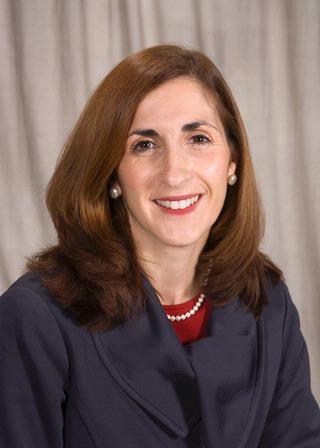 Dr. Cerulli is the Director of Susan B. Anthony Center and the Laboratory of Interpersonal Violence and Victimization. She received a PhD in criminal justice from SUNY at Albany, NY in 2004 and her Master's Degree in criminal justice from SUNY at Albany, NY in 1998. She holds a JD from the University at Buffalo law school. Dr. Cerulli received the Excellence in Public Service award from the SUNY Albany Alumni Association in 2014 and the National Institute of Mental Health New Investigator Award in 2005. She was formerly an Assistant District Attorney in Monroe County, New York, where she created a special misdemeanor domestic violence unit in 1995. She has been working on issues surrounding domestic violence and child abuse for over three decades, in a variety of capacities. Various federal agencies have funded Dr. Cerulli's work, including the Centers for Disease Control and Prevention, the National Institute of Justice, the Office on Violence Against Women, the National Institute of Mental Health, and the Veteran's Administration. She works internationally to ameliorate violence and currently is assisting with projects addressing the health and welfare of individuals living in the Sub Mekong region. She is a founding Board Member for the Crisis Nursery of Greater Rochester, Inc., a grass roots organization providing emergency respite care for greater Rochester area families with young children. Sponsor: Alternatives for Battered Women, Inc.
Brown J, Burnette ML, Cerulli C. "Correlations Between Sexual Abuse Histories, Perceived Danger, and PTSD Among Intimate Partner Violence Victims." Journal of interpersonal violence.. 2015 Sep 0; 30(15):2709-25. Epub 2014 Oct 16. Gardella JH, Nichols-Hadeed CA, Mastrocinque JM, Stone JT, Coates CA, Sly CJ, Cerulli C. "Beyond Clery Act statistics: a closer look at college victimization based on self-report data." Journal of interpersonal violence.. 2015 Feb 0; 30(4):640-58. Epub 2014 Jun 12. Cerulli C, Stephens B, Bossarte R. "Examining the Intersection Between Suicidal Behaviors and Intimate Partner Violence Among a Sample of Males Receiving Services From the Veterans Health Administration." American journal of men's health.. 2014 Sep 0; 8(5):440-3. Epub 2014 Feb 25. Author List: White, A.M.; Nichols-Hadeed, C.; Steadman, H.J. ; Cerulli, C.
Author List: Cerulli, C.; Raimondi, C.; Nichols-Hadeed, C.
Edited By: Renzetti, C.; Miller, S.; Glover, A. Author List: Nichols-Hadeed, C.; Cerulli, C.